Click here to take a look at all of our sponsors for this year's awards. Achieving all the desires of the homeowners for under $60,000 is a major achievement for this home. With innovative design, attention to details, and understanding of the homeowners’ needs, Aurora Kitchens & Interiors created more storage, increased prep area, and delivered a brighter, more pleasing atmosphere for the family of four. Limitations included the house being built on a slab, so relocation and addition of electrical and plumbing were trenched under the newer floor! 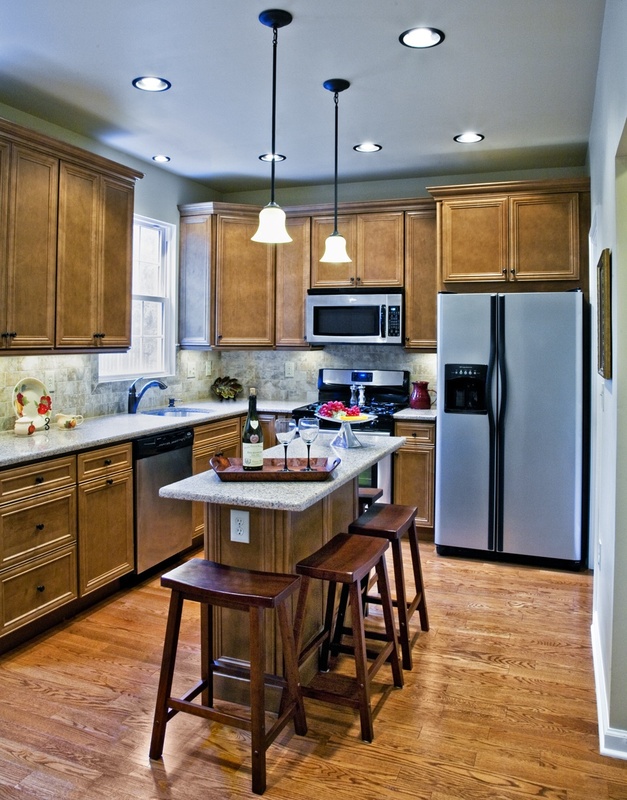 Changing the location of appliances can truly change the workflow and provide more prep space. 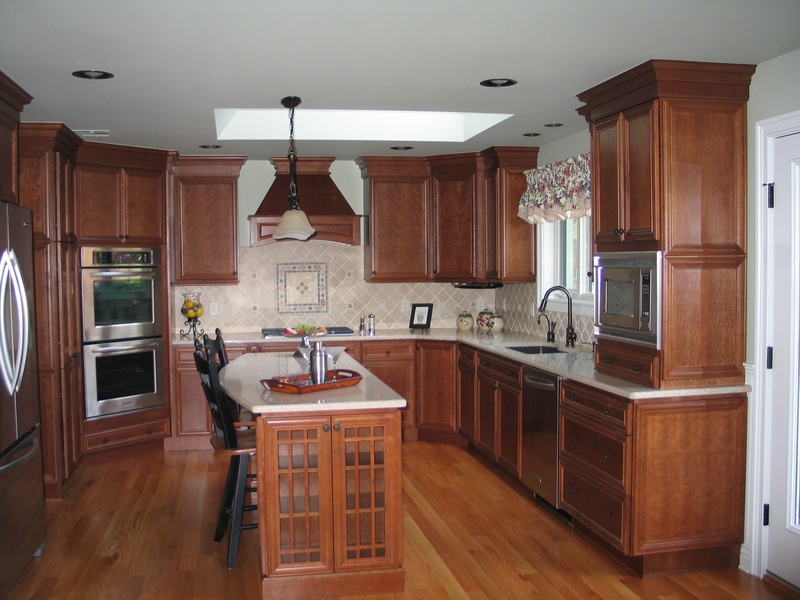 By taking the cooktop out of the island and reconfiguring the appliance layout, MSI Plumbing with Aurora Kitchens & Interiors created a more functional work area that enhances the traffic flow. Removing the Family Room wall opened the area, offered more natural light and made the area more comfortable. The support beam was changed out to provide the necessary stability. The extra cost was worth the results. The 1830 canal house kitchen needed updating to accommodate the young family’s needs. Desiring more storage and more modern conveniences, the homeowners turned to Billingham for solutions. Since the fireplace in the kitchen was a focal point, but was not well functioning, nor did the design fit with the home, Billingham used a glass fireplace insert, faux stone that mimics the Bucks County shale of the area, and a reclaimed beam for the mantle. 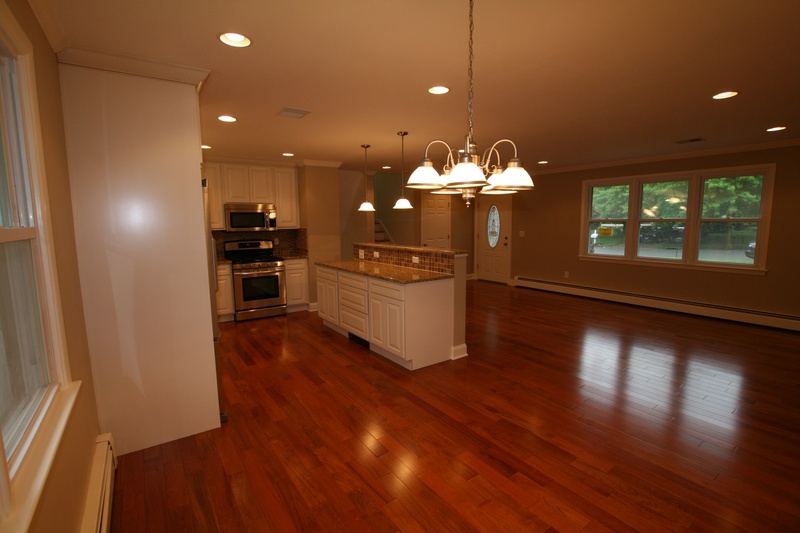 Radiant heat was inserted under the floor; cabinets were reconfigured to provide ample storage, single pane glass windows were replaced, and lighting was updated. The functionality of the home was increased yet the design remains true to the 1830 home. The beauty of some projects is enhanced by the innovative solutions to problems faced. 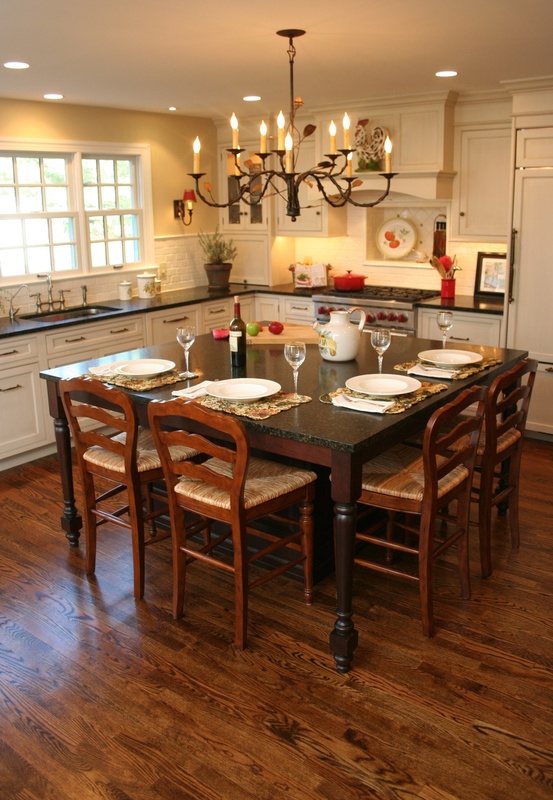 To provide the homeowners the design and floor plan they desired, Greg Fontaine of A& E Construction reconfigured the kitchen layout, flipping the work area into space used as the dining room, and putting the dining area into the space created by taking down the wall between the kitchen and family room. A drop beam to conceal the HVAC ductwork was inserted in the ceiling between the dining and family room, with a support post hidden by a decorative column. The new layout assists in increasing the workflow, storage and work space, as well as the aesthetics of the home. Not only was this 18-year-old Master Bath “tired,” but also in need of assistance for the homeowner with knee problems. The outdated electrical service tripped too frequently when the homeowner used a blow dryer, and the sink plumbing came up through the cabinet, reducing storage space. 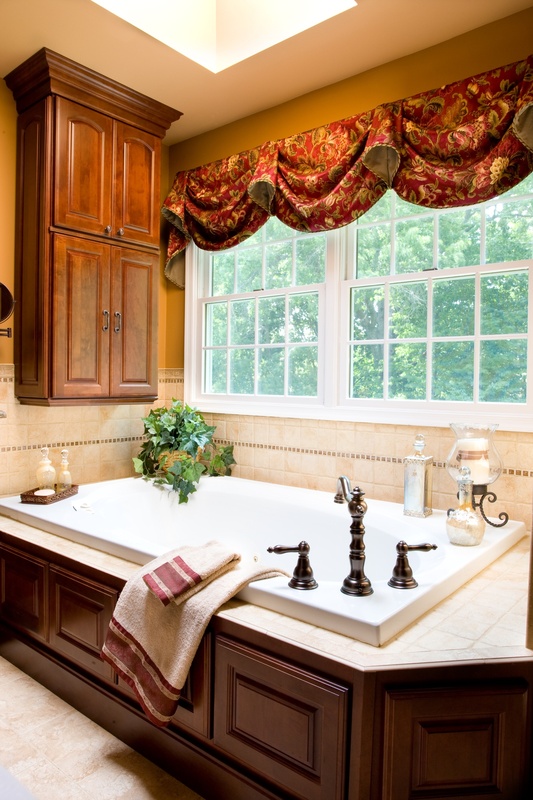 By reconfiguring the vanity layout to allow for countertop cabinets, the homeowners have storage at their fingertips. The new tub and shower stall are beautiful and functional. Attention to detail on the tile, oil rubbed bronze hardware, lighting fixture and accessories enhance the feel of the new design. 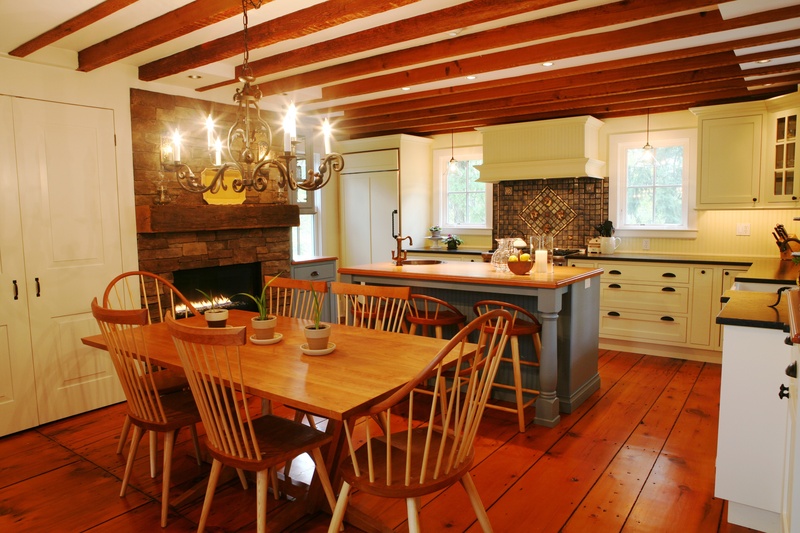 Remodeling a 1970’s typical Colonial can be a challenge and an opportunity. With separate kitchen, three-season sunroom and formal dining room, the home was chopped up. 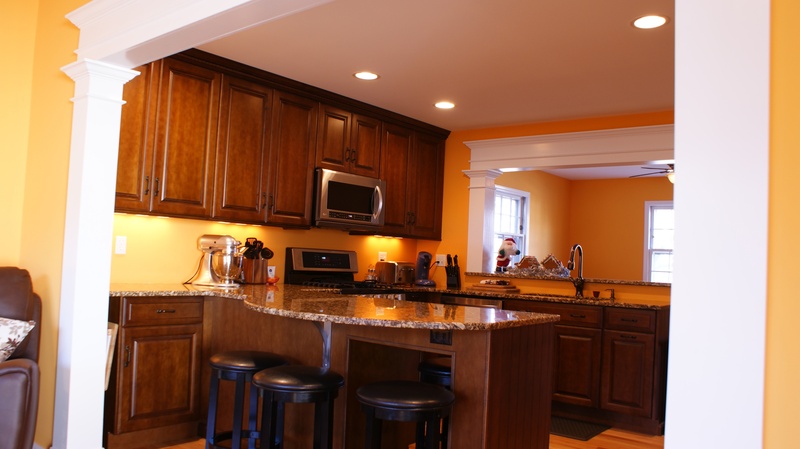 Porraro Associates embraced the challenge and created an open plan kitchen/family room/dining area. By removing the walls between the rooms and replacing each with a 10-foot wide square arch trimmed with classical detailing, Porraro maintained the style of the home but created a more usable, functional and attractive space for the homeowners. The artist homeowner wanted to develop studio space for her work in what had been an attached conservatory. 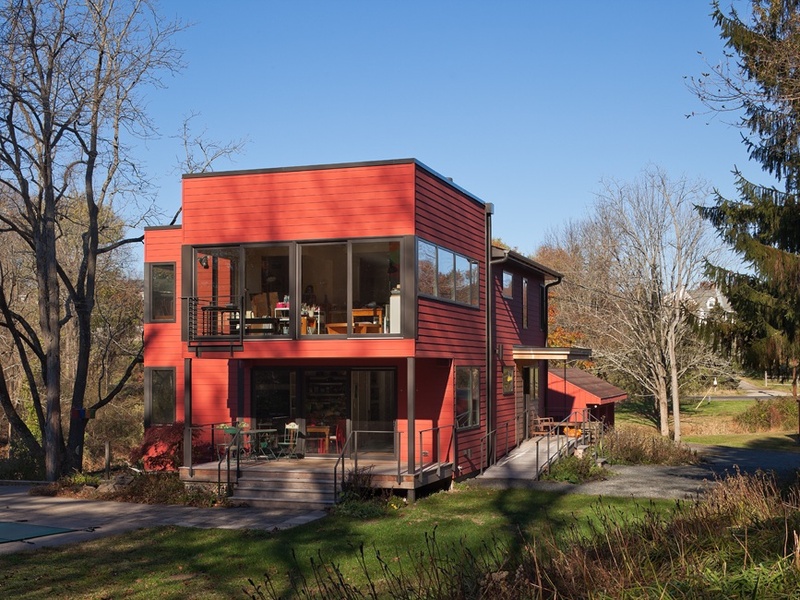 It was necessary to mitigate the strong natural sunlight and high temperatures caused by the south-facing addition so eight high windows were installed to bring in generous amounts of sunlight while tempering and softening the light and allowing air to circulate. Locating the addition closer to grade affords more access to the backyard. 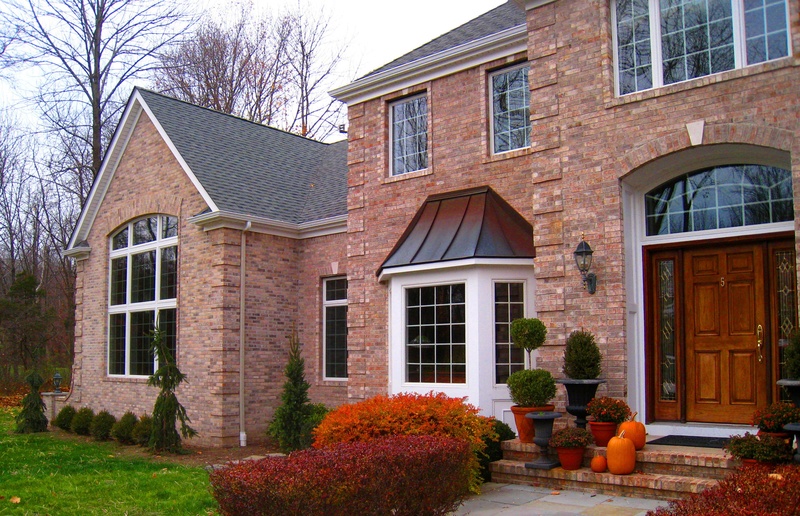 Making an existing house into a customer’s dream home was achieved through enhanced architectural integrity of the existing residence while customizing the details to reflect the homeowners’ lifestyle. The relatively small master bedroom was expanded to create a spacious suite offering the clients a comfortable and quiet retreat from their teenage children. Renovating the master bath, converting the master bedroom into a library/study and adding a new master bedroom, closet and sitting area, achieved the homeowners dream. The details of tray ceiling with recessed cove lighting, barrel-vaulted ceiling with concealed light shelf in the sitting area, and back-to-back masonry fireplace in the master bedroom truly speak elegance. 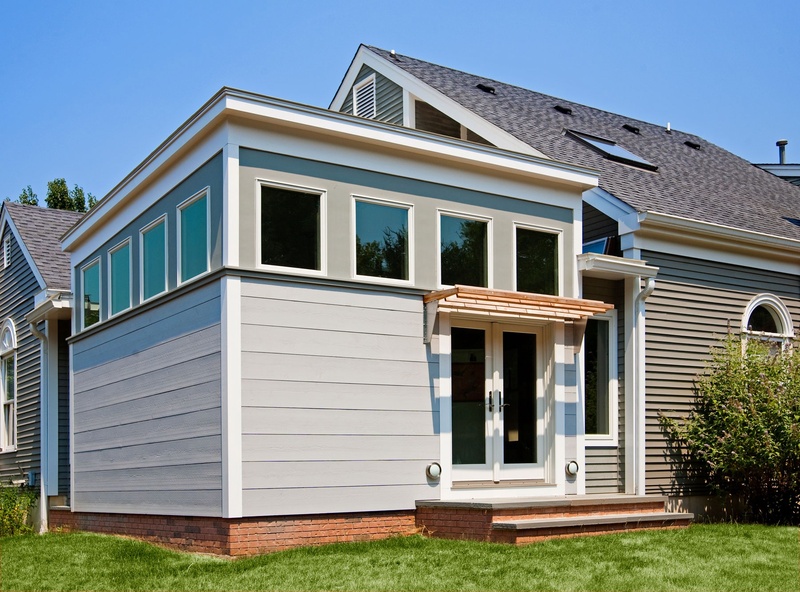 Transforming a 1970’s single family home into a LEED and Energy Star certified contemporary residence is no small feat. Factor in the challenges undefined creek watershed and buffer requirements that prohibited increasing the footprint, and accessibility requirements of the homeowners undefined and this renovation truly deserves recognition. By building up and cantilevering off the foundation, the livable space was increased from 1746 square feet to 2455 square feet. Using existing wood framing for 45 percent of the total wood structure, closed cell sprayfoam insulation, FSC certified tropical wood on exterior decks, ramps and trim, hardwood flooring on more than 90 percent of the interior, non-VOC and Low-VOC materials and finishes, this team rose to the challenge. Since no remodeling had been done on this 1946 home, a complete renovation brought it into the 21st Century. Gutting the bathrooms, kitchen and family room revealed termite and water damage. 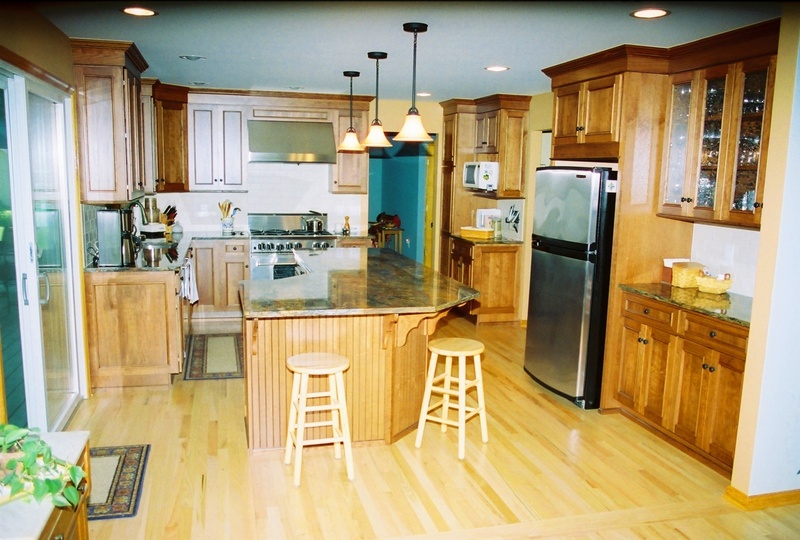 The main floor was transformed into an open great room with Brazilian Cherry flooring, showplace kitchen cabinets, granite countertops, all new appliances and custom stone backsplash. Bedrooms, stairs and hallway hardwood flooring were refinished, nail pops in drywall repaired, and a fresh coat of paint applied throughout. With an unfinished basement as a blank slate, Stone-Glidden used imagination and skilled craftsmanship to create a family entertainment area allowing for flexible use, Making a space sound and look good, but not easy to use is a failure, according to Mark Glidden. Installing One Touch controls to adjust lighting throughout the area, to switch between controlling music or video, and to adjust levels of light and sound are critical. The centerpiece of the renovation is a 12-seat luxurious three-sided bar that provides viewing of the billiards, movie and aquarium areas. Renovating a poorly maintained existing structure into a company’s new American headquarters required maintaining a budget, and finishing in 14 weeks! 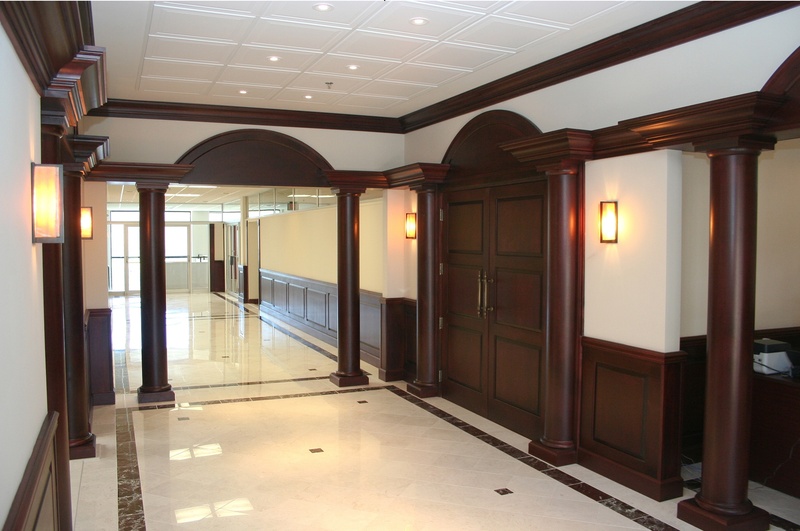 Transforming 12,000 square feet of office space included new layouts for several offices and conference rooms, the addition of two new bathrooms and two new shower areas within the existing footprint, plus renovation of an existing kitchen and two bathrooms. Necessary work, such as handicap accessible fixtures in bathrooms, was balanced with aesthetic details for achieving an attractive and functional headquarters.